The metal City towers at the center of the mountain-ringed Heartland, standing astride the deep chasm of the Canyon like a malevolent giant, ruled with an iron fist by the First Officer and his Provosts in the name of the semi-mythical Captain. Within its corroding walls lies a stratified society, where the Officers dwell in luxury on the Twelfth Tier while the poor struggle to survive on the First and Second, and outcasts scrabble and fight for whatever they can find in the Middens, the City�s rubbish heap, filling the Canyon beneath its dripping underbelly. Alania, ward of an Officer, lives on Twelfth. Raised among the privileged class, Alania feels as though she is some sort of pampered prisoner, never permitted to explore the many levels of the City. And certainly not allowed to leave the confines of the City for any reason. She has everything a young woman could want except a loving family and personal freedom. Danyl, raised by a scavenger, knows no home but the Middens. His day-to-day responsibility is to stay alive. His sole ambition is to escape from this subsistence existence and gain entrance to the City�so near and yet so far out of reach�in hopes of a better life. Their two very different worlds collide when Alania, fleeing from an unexpected ambush, plunges from the heights of the City down to the Middens, and into Danyl�s life. Almost immediately, both of them find themselves pursued by the First Officer�s Provosts, for reasons they cannot fathom�but which they must uncover if they are to survive. 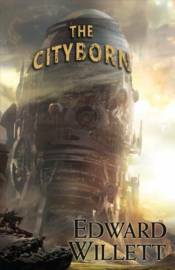 The secrets they unlock, as they flee the Canyon and crisscross the Heartland from the City�s farmlands to the mountains of the north and back again, will determine not only their fate, but the fate of the City�and everyone who lives there.